From WYPR 88.1 FM. Anirban Basu reviews retirement news. Many people think about saving a million dollars for retirement. A considerable body of conventional wisdom suggests that a million dollars makes for a happy retirement, though like all rules of thumbs, this one is imperfect. When discussing savings, people and their advisors often discuss 401ks, 403bs, IRAs, or other financial savings vehicles. In a survey of workers from the Transamerica Center for Retirement Studies featured by CNBC, 56 percent of respondents indicated that they have not fully recovered from the Great Recession. 37 percent say that they have recovered somewhat, but 12 percent say that they have not begun to recover and seven percent suggest that they may never recover. If you are in your fifties or sixties, you may have begun to pay closer attention to commercials regarding annuities, Medicare Part B, or those ads featuring Tom Selleck talking about reverse mortgages. You are not alone. Financial advisors suggest that many of us abruptly awaken to the realities of retirement about five years or so prior to its onset. While such awareness can be jarring, most advisors consider the panic attacks that occur several years prior to retirement helpful. According to Northwest Mutual's 2018 Planning and Progress study, 78 percent of Americans indicate that they are concerned about not having enough money for retirement. Anirban tells us that there's good reason for this. More than 40 percent of Americans are at risk of going broke in retirement. And that's the good news. Anirban tells us more. Let’s say you are in your forties and you haven’t been saving for retirement. Experts suggest that you had better get busy–now. According to the Economic Policy Institute, the average American 44 to 49 years old has a bit more than $81,000 in retirement savings. But that figure is heavily impacted by certain forty-somethings who have managed to save a lot of money for retirement already. Anirban tells us more. As reported by Bloomberg, each year, Vanguard Group releases its review regarding the state of retirement savings. The review focuses on 401ks, 403bs, and other defined contribution plans that allow people to set aside money for retirement and often defer taxes in the process. The report, entitled "How America Saves 2018," is replete with data, charts and interesting analytics. It is also packed with some good news. You might have thought that you would be safe from discussion about Russia during a retirement segment. You were wrong. A newly proposed policy announced as many were watching the Russian national team defeat Saudi Arabia five to nil during the opening game of the World Cup would raise the Russian state pension age from sixty to sixty-five for men by twenty-twenty eight and from fifty five to sixty-three for women by twenty-thirty four. Raising the retirement age to the mid-sixties hardly sounds like anything to be especially upset about, but many Russians are infuriated. Turns out that the Millennial generation, which is largely comprised of twenty and thirty-somethings, aren’t so different from the rest of us after all – well, at least in certain ways. A recent Bankrate.com survey asked Millennials, who for these purposes are classified as Americans ages eighteen to thirty-seven, what the perfect time to retire would be. Listen to find out what that age is. For generations, the nation has relied upon family members to keep aging loved ones in their homes and to supply needed care. But today, many Americans are growing older without family nearby, resulting in an unprecedented caregiving crunch. As indicated by writer Clare Ansberry, the caregiving crunch comes at a time when many Americans reaching retirement age are in a financial squeeze not experienced by some prior generations. Let’s say you are in your forties and you haven’t been saving for retirement. Experts suggest that you had better get busy–now. According to the Economic Policy Institute, the average American 44 to 49 years old has a bit more than $81,000 in retirement savings. But that figure is heavily impacted by certain forty-somethings who have managed to save a lot of money for retirement already. Anirban tells us about a sobering report that finds that people living in 15 different nations don't have the retirement information that they should. "The Power of Working Longer"
We often focus in this segment on optimal savings behavior. But there are other strategies available to us with respect to retirement preparation, including not retiring or at least postponing retirement. That is the message behind a new and provocative study entitled the "Power of Working Longer." Anirban tells us more. For the first time since Harry Truman was president, Americans are set to reach retirement age in worse financial shape than the prior generation. The group of Americans approaching retirement is associated with high average debt, in part because they are still paying off their children’s educations and/or dipping into savings to support aging parents. Reports indicating just how little many Americans have saved for retirement keep on coming. Northwestern Mutual’s 2018 Planning and Progress Study, based on a survey of approximately 2,000 adults, found that 21 percent of Americans have nothing saved at all for their golden years. Last week, we featured an article authored by Teresa Ghilarducci and Tony James that appeared in the Harvard Business Review. The article focuses largely upon how the shift from defined benefit pension plans to 401Ks has placed many workers at risk for financially treacherous retirements. That article is so incredibly endowed with information, I thought it worthwhile to speak to some of its other conclusions. A recent Harvard Business Review article indicates that over the past four decades, changes prompted by corporate America have placed workers and the broader American society at risk. Here’s what authors Teresa Ghilarducci and Tony James mean. The shift from defined benefit pension plans to employee-directed contribution 401K plans represents a major driver of America’s impending retirement crisis. Beginning during the 1980s, this shift in retirement benefits helped companies reduce their retirement liabilities and better meet their quarterly financial targets. One of the most difficult aspects of preparing for retirement is projecting one’s future living costs. After all, it’s not easy to determine how much inflation there will be or how your lifestyle or health will change. According to the Nationwide Retirement Institute, 44 percent of workers aged 50 and over believe that their living expenses will stay the same one they leave their careers behind. You may have heard of the so-called gig economy – the one in which people earn money not at regular jobs, but by occasionally engaging in activities that generate income for them. Recent research indicates that the gig economy is particularly important to growing numbers of retirees, who are looking to expand their incomes without committing themselves to a demanding employer. According to a 2017 Prudential Financial survey, approximately 31 percent of workers who only work in the gig economy are baby boomers. As we discussed last week, there is a conventional wisdom that one needs about $1 million to retire comfortably, that may or may not be true. Given that many Americans have literally nothing saved for retirement, a million dollars sounds like plenty. But according to a new report from personal finance site GoBankingRates, depending on where one lives, retirees could blow through that one million dollar nest egg in as little as 12 years. Every once in a while, an organization will publish their rankings of the best and worst states or cities for retirement. Bankrate recently did just that, ranking the nation’s fifty largest metropolitan areas. Bankrate considered a host of factors, including cost of living, taxes, crime healthcare, public transit, weather, things to do, and the percent of population 65 or older. Get the results in this episode. A report from the National Institute on Retirement Security entitled 'Millennials and Retirement: Already Falling Short,' further contributes to our collective understand of how vast the nation’s retirement crisis has become. The analysis finds that 66 percent of working Millennials have nothing saved for retirement, and the situation is far worse for Millennial Latinos. Among Latinos, about 5 in 6 Millennials who are working have nothing saved for retirement. The report further indicates that a bit more than a third of Millennials actually participates in employer-sponsored retirement plans despite the fact that two-thirds of Millennials work for employers offering such plans. Many of us plan retirement for years. We contribute to our 401ks. We pick out a place in Florida. We tell our kids and grandkids that it’s going to be OK, but that they’re going to have to take care of themselves from now on. And then the day comes – we retire – and then, sometimes, we decide, that retirement is just not for us. Economists refer to this lifestyle U-turn as unretirement. A recent Forbes article concludes that there are 8.5 million older workers and their spouses who will experience downward mobility in retirement absent some deviation from current trend. Who are these endangered 8.5 million? 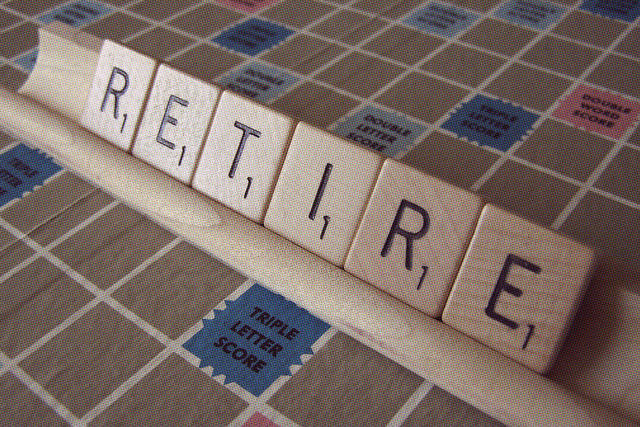 There continues to be much discussion regarding America’s retirement crisis. Far too many people lack adequate retirement savings, and face diminished living standards once they stop working. In response, there has been a move toward automatic enrollment in employer-sponsored retirement plans. Earlier this year, it appeared that something quite rare was about to occur. 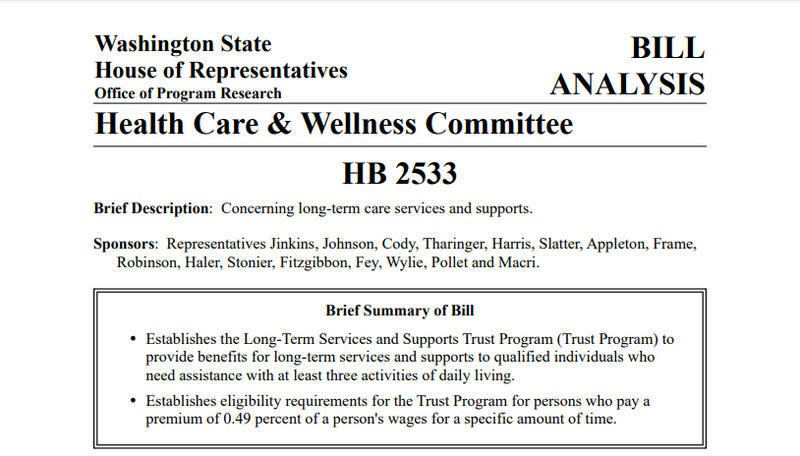 One of the fifty U.S. states, Washington State, was striving to pass a bill that would have instituted a new payroll tax to help cover the cost of long term care, whether in a nursing home, a residence, or elsewhere in a community. Efforts to keep older Americans in the workforce longer could help combat America’s high rates of old age poverty and also reducing inequality—this according to a new report from the Organization for Economic Cooperation and Development or OECD. The Paris-based think tank provides advice on the best policies to follow to its 35 member governments. The report calls upon America to support longer careers for all socioeconomic groups as a way to diminish old-age poverty without placing additional strain on pension systems. More than 20 percent of Americans over the age of 65 have an income that classifies them below the poverty line. For purposes of the OECD study, poverty was defined as half of median disposable household income. Future retirees face even higher risks of poverty as inequality advances. As indicated in The Wall Street Journal, while America has a higher share of older people in the workforce compared to most major economies, how people fare in their later years depends critically on educational attainment. The gap between workers with different skillsets is enormous and poised to widen as digital transition progresses according to OECD analysts. One way to support longer careers is by offering flexible or phased retirement. Under such a system, older workers receive a full or partial pension benefit while continuing in paid work, often with reduced hours. Far fewer Americans work part-time in retirement relative to populations in Germany and the United Kingdom. You are probably not looking for a reason to retire early. The reason is fairly obvious. Early retirement may be much more pleasant that working well into one’s 60s or 70s or beyond. But here’s another reason that renders early retirement more appealing – it could lengthen your life. That’s the conclusion of research made available over the years as well as from a 2017 study published in the journal Health Economics. As indicated by The New York Times, in that study, three economists from the Netherlands analyzed what transpired when some Dutch civil servants could temporarily quality for early retirement in 2005. Men responding to the early retirement offer were nearly three percentage points less likely to die over the next five years than those who did not retire early. Parenthetically, too few women met the early retirement eligibility criteria to be included in the study. In any case, these findings echo those of other studies. For instance, an analysis in the U.S. found that seven years of retirement can be as good for one’s health as reducing by 20 percent the chance of acquiring a serious disease like diabetes or heart conditions. The salubrious effects of retirement have also been discerned in studies using data from England, Germany, and Israel. This likely reflects the fact that for many people, work can be stressful and can leave little time for exercise. To stretch out one’s retirement savings, one may have to eventually move to a lower cost city. Many people from the northeast United States end up moving to the American South, with one of the major factors being warmer weather. But that’s hardly the only factor. States like North and South Carolina tend to have costs of living far beneath what one contends with in Connecticut, New York, New Jersey or Maryland. One of the difficulties in understanding differential costs of living in various areas is a dearth of comparable data.